On first glance, solar panels are pretty simple pieces of technology. Sunlight hits them and they produce electricity, then flows out of a wire to whatever you want to power. Done. There’s no motors and no moving parts (electrons are the only moving object in a solar panel). However, when you take a closer look at a solar panel diagram, you’ll see they are actually incredibly complex. Today, let’s break down what exactly composes a solar panel so that we can learn a little more about this wonder of the modern world. The solar cells are what actually transform light into electricity. 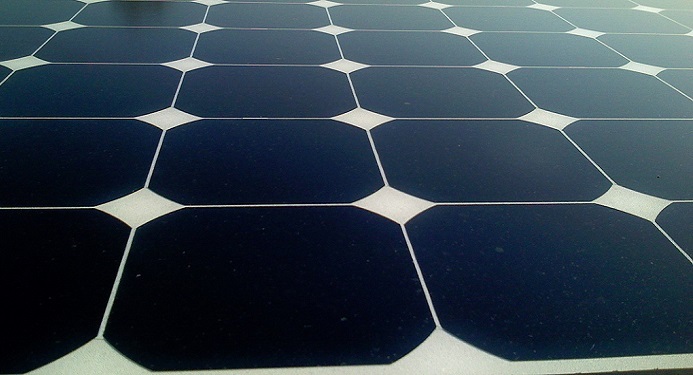 A typical residential solar panel includes 60 solar cells. 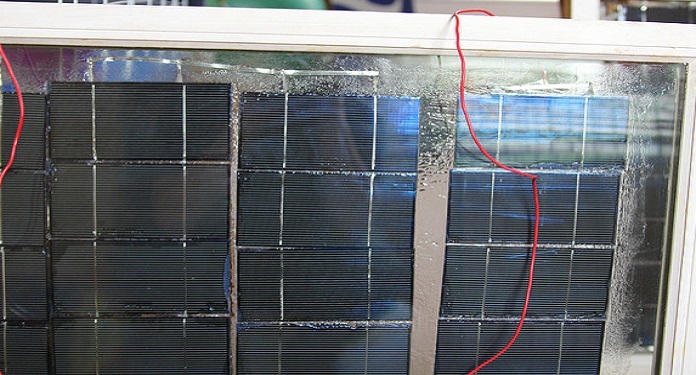 If you look closely at the image above, you can see each square blue solar cell in the panel. Solar cells are made up of extremely thin layers of silicon (the 2nd most common element in the universe), silver, aluminum, and a few other elements. Silicon is the workhorse that actually converts sunlight to electricity, while the other materials help to gather and transmit that electricity. The image above represents a cross section of a solar cell. You can see the aluminum at the bottom of the panel that allows ‘used’ electrons to flow back into the panel (thus completing the circuit) as well as the anti-reflective coating on top to allow the solar panel to absorb as much sunlight as possible. In between those two layers is the n-layer and the p-layer. What are those? That’s where the magic happens! 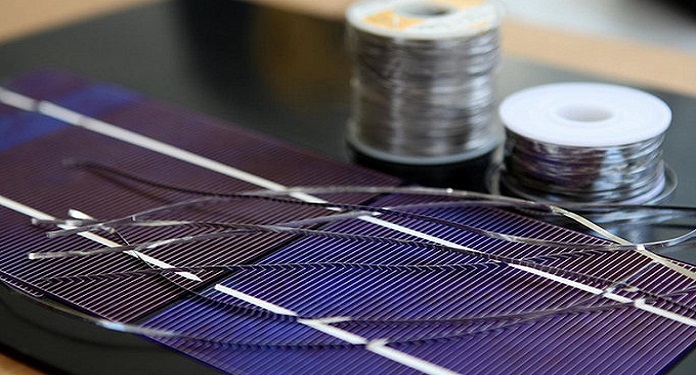 The n-layer and p-layer are the powerhouse of solar cells – it is where electricity is made! Remember how electricity is simply the flow of electrons? Well, the n- and p-layers are both made of silicon, but the n-layer has extra electrons while the p-layer has extra holes that electrons can fill. When photons in sunlight hit the panel, they knock an electron in the n-layer out of its bond. That homeless electron then moves to the outside of the layer and is collected up and deposited to a wire. At that point it moves – along with all the other homeless electrons – to whatever device you want to power. After the electrons are used, they travel back to the aluminum sheet on the back and into the p-layer (the one with extra holes) where the process starts over. That’s the basic idea of how a solar cell works, so now let’s see how solar cells fit into the actual solar panel. All the solar cells in a solar panel are extremely flat and squashed between a sheet of glass on top and a protective layer underneath. Since the glass is rigid and can crack, most solar panels are protected by an aluminum frame that goes around the solar panel to provide more strength. An aluminum frame provides structure and protects the glass. 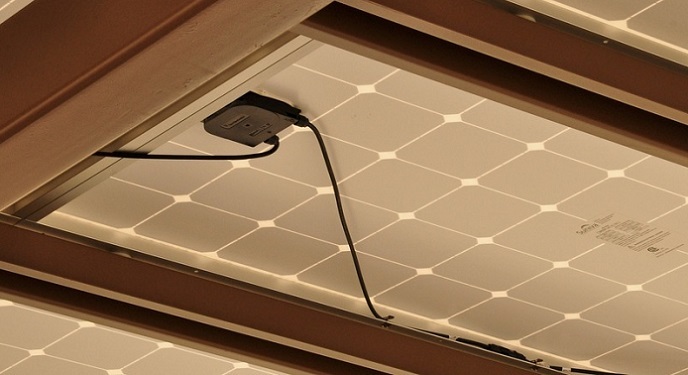 While frameless solar panels are beginning to come on the market, most solar panels still come with an aluminum frame. Glass protects the top of the solar cells and provides strength, while still allowing light to hit the solar cells. Anti-reflective coating to allow more sunlight to hit the solar cells. 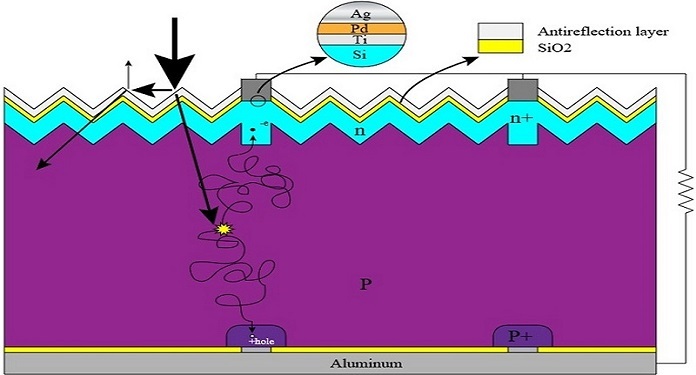 Encapsulant physically protects the solar cell. Solar cells are right in the middle, protected from both sides. Encapsulant on the back of the solar cells as well. Protective Back Sheet keeps moisture from entering the solar panel and protects against UV and temperature changes. Junction Box/Bypass Diode, which we’ll explain more about in a moment. Dupont publishes an interactive solar panel diagram – check it out to learn a bit more about each component. What about that last piece of equipment? If you look at the back of a solar panel, you’ll see a small black box near the top. That’s the junction box/bypass diode. You can see it for yourself in the picture below. Junction boxes simply house wire connections for safety – you don’t want those out in the elements! Bypass diodes are a bit more complicated. In solar installations, multiple solar panels are typically connected together in a line or ‘series’. This is a cost-effective and simple system, but there is a drawback. If one solar panel suddenly becomes shaded (let’s say a cloud moves over a corner of your installation), that panel stops producing electricity, meaning the electrons aren’t following. Since all the panels are connected, this panel then blocks all the electricity produced by the other panels from following, seriously hampering how much electricity your entire system is generating. The bypass diode allows electricity to flow past a non-working panel. A shaded panel still negatively affects overall production, but not nearly as much. How do solar panels fit into an entire solar installation? While solar panels are the basis of any solar installation, they’re actually just one single component. With even just one component missing, the installation simply won’t work! 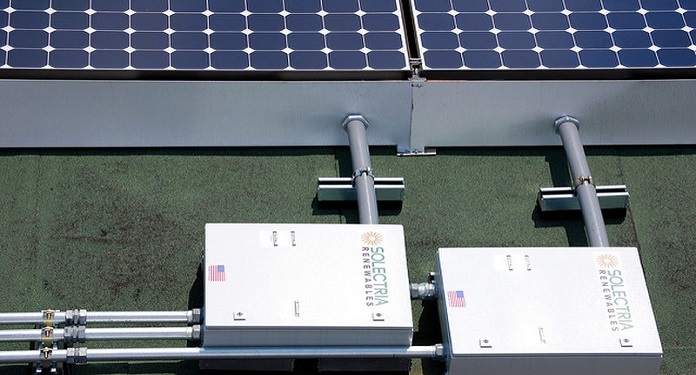 Like we mentioned at the beginning of this article, solar is actually a pretty simple system. Solar panels create electricity. That electricity is transported to your inverter via wires housed in protective metal pipes (known as ‘electrical conduit’) from the panels on your roof. The inverter changes the electricity from direct current to alternating current (AC) so your home and grid can use the electricity. After that, it is then fed directly into your electrical panel, typically via a circuit breaker just like the ones you already have in your electrical box. From there, you can use it in your home. If your installation is producing more than you can use, that excess will go directly into the grid. In the end, the solar panel, as well as the entire solar installation, is simply about moving electrons from one place to another. It’s a simple concept, but amazingly complex once you really start to dig in. At least you now know that solar’s all about moving electrons – pull that out at your next dinner party! Have a follow-up question or thought on how solar panels work? Ask away in the comments!